I got a 710 score on GMAT. Should I consider a retake? I have 3 years of experience in Consulting/Data Science Industry. Initially I was working in ZS associates and now Walmart Labs. Getting a scholarship is important in my situation. Should i consider giving my gmat again to get 750+? You're hitting the threshold with respect to your GMAT score, but since the scholarship is an important consideration for you (and merit-based scholarships are based on the strength of your application), I would recommend retaking the GMAT to pull the score up. 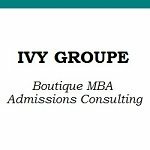 I hope this helps, but if you would like to schedule a free consultation to discuss your background in more detail, feel free to reach out at info@ivygroupe.com or https://www.ivygroupe.com/contact. Although there are multiple factors influencing scholarship, GMAT score is probably the only significant factor you can still influence. If you can pull away from the median score of the school significantly, you’ll improve your odds of landing scholarship. IvyGroupeCEO Thank you very much for your time. 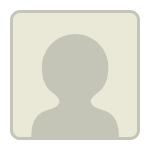 I have dropped you an email with details about my profile. 99Colleges thank you for the reply! When you say significant you mean getting a 750+? Looking at the combination of your GPA and GMAT (both are average), I'd just ask you to retake GMAT and aim for a 730+ score. Because of the intense competition, GMAT scores expectations are higher for Indian applicants, and I'd ask you to retake to emerge as a stronger applicant in the application cycle (not only for scholarship). Unless you score 740 and above, there would not be much difference but the same time can be put back in creating a stellar application. You need to really look at the low hanging fruit at this time. Choose your pick carefully as one option will of course impact the other one given the approaching Round 1 deadlines. A 750 will be more attractive to a school with 680 median than to one with 720. That’s what I meant. But you can take 750 as a proxy for ‘significant’.